Mother Rising is a place for women to lift each other up. We invite you to pour a cup of tea, share your wisdom, tell your stories, cry, laugh and immerse yourself in a safe space free of the demands of your everyday life. Empowerment for pregnant and newly parenting mothers stems from knowledge, encouraging instincts and intuition, and addressing her social and emotional needs. We offer doula services, placenta encapsulation, pregnancy and childbirth education, birth planning consultations, infant care classes, birth circles, parenting circles, red tents, breastfeeding support, birth photography, online support group and a resource library. Mother Rising is a place where we simply honor womanhood. With the help of her neighbors, friends and family she finished high school and went on to obtain her bachelors of science in Health Education from Kent State University. Over the last 20 years she has worked for Geauga Teen Pregnancy Prevention (TPP) in the Lake and Geauga communities. There she educated and supported pregnant and parenting teens. During her years with Geauga TPP she spent a lot of classroom time teaching students grades 6-12 about healthy sexuality, communication, and relationships. Shauna is a Lamaze Certified Childbirth Educator and a trained birth doula. As her family grew she learned the on-call lifestyle as a doula was not for her. So naturally her passion for childbirth and her love of women and mothers merged with her love of being an educator. Shauna is currently pursuing her masters in social work as a means to further assist families in perinatal education and mental health. Shauna believes that all women deserve to be empowered with the knowledge to make the best decisions for them as they embark on the amazing journey to becoming a mother. Her teachings are all evidence based and not biased. She believes with all her heart that the best decision about your birth can only be made by you. She is an advocate for women, mothers, babies, all families, informed birthing, baby wearing and breastfeeding. Shauna lives in Chardon with her husband, and 4 children. 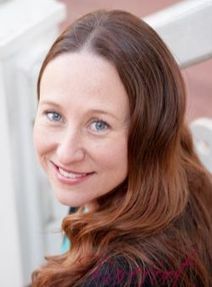 Danielle is a DONA certified Birth Doula and has been supporting families for over 9 years now. She is wife, mother of five lovely children and avid dog lover. Her passion for birth began when she had her first child. She became a mother at a young age and understands the importance of women having support and encouragement during the perinatal time. Danielle spent 12 years as a Tech in Same Day Surgery, Pre and Post-Operative care unit at Lake Health, caring for her patients while attending school. She also taught Holistic Sexual Education with Geauga's Teen Pregnancy Prevention Program for students grades 6th-12th which is where she came to know her dear friend and business partner Shauna Rich. While certified as a Birth Doula, Danielle is also trained in perinatal hospice and bereavement care, Rebozo techniques using the Gena Kirby Method and recently completed training with CAPPA as well as a midwifery assistant workshop with The Farm midwives in TN. 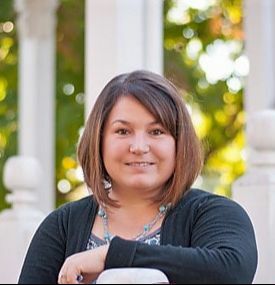 She is currently working together with the Geauga County Health Department to create a Perinatal Task Force to provided education and support to local families facing the challenges of perinatal mood disorders along with being a member or our local Improving Birth chapter. Danielle supports women regardless of how or where they choose to birth. She works with families that birth in both the hospital and home setting and has experience with natural, medicated, cesarean, VBAC and water birth along with teen/single, high risk, preterm, surrogacy, LGBT and IVF families. She encourages families to educate themselves on all options available to them for their birth experience so that they can make informed decisions about the care of themselves and their babies. Allyson is a Chardon native, wife and a mother to one son. Allyson began her journey in birth work when she witnessed the compassion her sister's doula and midwife had for her and her family on the west coast. Allyson attended a DONA International Birth Doula workshop in 2012 and quickly became a Certified DONA Birth Doula. She had the privilege to travel to The Farm and took the Midwives Assistant workshop learning from the world renown Midwives, Ina May Gaskin and Pamela Hunt. Allyson is also a Lamaze International Childbirth Educator and earned certification in 2014. Allyson is also a MotherWoman support group facilitator, and CPR Certified by the American Heart Association. Allyson has a passion for the childbearing year, parenting, and children. She has the desire to constantly expand her skills and knowledge so she can better serve her clients. Allyson has experience in supporting hospital birth, Hypnobirthing , Bradley Method, home birth, Cesarean birth, water birth, teen parents, high risk pregnancies, families conceiving by IVF and ART, and Military families. She believes that birth is a natural, normal process, and an amazing transformational point in a woman’s life. She respects and honors the choices that our families make: the motherhood journey is unique for each woman. Alicia has been working as a birth doula off and on for seven years. She completed Childbirth International's training program not long after her oldest was born. After experiencing the loving care and support her midwives provided she knew she wanted to be able to provide other women with the same level of love and care during their births. As a young child she was fascinated by childbirth and was often found playing "midwife" with her Barbie dolls. For as long as she can remember she has felt called to serve women during their pregnancies and births. She believes that these moments are pivotal in a woman's life and strives to create an loving and nonjudgmental environment supportive to all families, regardless of their choices surrounding birth. She started her work in Houston, TX and then moved to the Cleveland area in 2012. She has two kids of her own and has carried three surrogate babies. In her free time Alicia is the founder and a current volunteer with Babywearing International of Cleveland. Alicia is also a student at Lakeland Community College with plans to eventually become a Certified Nurse Midwife. She also recently completed the DONA training classes and is in the process of finishing her certification. She supports families through all types of birth experience including home and hospital settings, induction, medicated and drug free deliveries, and cesarean or vaginal births. Emma Whitlock, CPES (IPPA) & Inclusion Jeweler & Keepsake Artist, is passionate about the placenta, postpartum care, and helping keep lasting memories. She is wife and mother two her energetic son and giggly daughter. Her love for the placenta began when she was active duty in the Air Force and pregnant with her son. She saw how the benefits of encapsulation were so important for the postpartum period and how little moms knew about the benefits; Postpartum Depression being one of them as she was effected terribly by it with her son. As a military mom, she saw the lack of support for the postpartum period and wanted to spread the word and decided that was where her true passion was. She began training in 2016 with IPPA and after completion went on to obtain her certification in 2017. She is state certified in food safety and handling as well as certified in blood borne pathogens and infection control. Along with Encapsulation she also offers smoothies, cookies, and truffles! Emma makes one of a kind inclusion jewelry and keepsakes which include: breast milk, placenta, cord stump, cremation ash, and much more. This unique talent is a great way to be reminded of some of the things we love the most. Her preservation of breast milk is all natural, in high grade resin, with no additives, which captures the true beauty of your unique milk. Christine Cassella, M.S., is a mother of two young girls and has a broad background including training as a behavioral biologist, certified herbalist, and birth doula. Christine has been passionate about women’s health and natural living throughout her life, but truly began to see the importance of an empowered pregnancy and childbirth when she was pregnant with her first child. It is her belief that birth is a pivotal time during a woman’s life to claim her power, find her truth, and emerge as a mother prepared to face all the challenges and joys that arise. Her diverse skill set allows her to provide client care that is both evidence-based, intuitive, and woman-centered. Christine has special interests in teaching women how they and their families can thrive using herbal remedies, and she is particularly interested in supporting women desiring natural birth at home or hospital. ​Margaret became interested in doula work through her AmeriCorps service at Community Health Center in Denver, Colorado. There, she learned the importance of patient centered care and was exposed to birth workers who advocated for a woman's choice to birth how and where she wanted. She became interested in birth as a means of empowerment for women. With the increased medicalization and fear surrounding birth in our culture, Margaret has been fascinated with the idea that the entrance into motherhood doesn't have to be this scary. It has the potential to strengthen women and open their eyes to their unique and individual inner-strength. She strives to educate women that birth is a natural process that their bodies were designed to do. She continues to educate herself through the doula community in Cleveland by attending educational events and programs led by local midwives and experienced birth workers. Margaret is certified to teach yoga and values the importance of breath and meditation during the birth process. After completing a DONA International training in Colorado, Margaret returned to Cleveland and has served women as a birth doula. Her powerful experiences in the birthing room have further motivated her to continue this work towards fostering confidence and feminine intuition within communities of women. Megan Nadzam RN, MSN, CNP-BC has experiences as a nurse in both the Pediatric ICU and Level 3 Neonatal ICU. She has been a registered nurse since 1995, and became a Certified Neonatal Nurse Practitioner in 2008 . Megan is also a preceptor for new Neonatal Nurse Practitioner students. Jackie Ludwig RN-NIC, BSN has been a NICU RN since 2006, certified in level 3 NICU and has worked at several hospitals across the country as a travel nurse. She is a lactation specialist and has helped many newborns successfully breastfeed. She has worked in Postpartum, Newborn Nursery, Pediatrics and the Pediatric ER. ​Jackie has personal experience with twins. Born in 2011, Jackie’s twins were 34 weeks and spent time in the NICU. She exclusively breastfed both of them for a year.